Yesterday when I was away from my Mac(s), I had an idea for something I wanted to do in FileMaker. All I had was my iPhone. 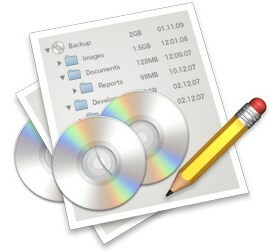 I wished for a Back-to-My-Mac for iPhone so I could run FileMaker, but that’s not here yet. Will it be announced tomorrow? Meanwhile, I decided to print my field definitions and key scripts to PDFs and make them available to me for reference from my iPhone and iPod touch via Evernote. I did say Evernote rocks as I recall. It is working like a charm. Here I am the next day solving probems at my local coffee (with free wi-fi) hang out (Caffe Acri). 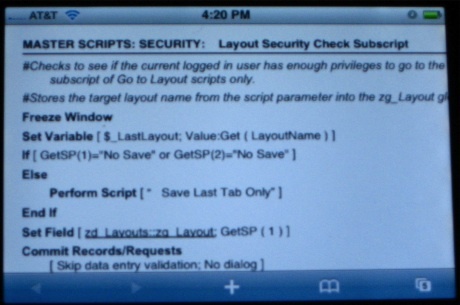 I’m able to look at a script as a PDF on my iPod touch. I can see exactly what to do to offer a new Studio Manager feature. My apologies for this photo. I tried grabbing a screenshot using Capture on my iPod touch. Had trouble syncing that screenshot to my Mac. So we have here a photo of my iPhone. Take my word for it, the screen is pristine, extremely bright and absolutely crystal clear. The biggest win I’m going to get is probably when doing email and phone tech support. 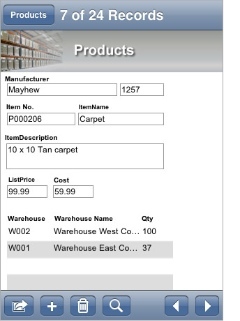 I can just look at scripts and field definitions as PDFs and a few entry screen screenshots for reference. I already have Evernote notebooks for Studio Manager and FileMaker. You can find inside your notes in a single notebook or all notebooks. Tagging helps too. Even when Back-to-My-Mac becomes available, it will often be much faster to refer to PDFs in Evernote. By the way, it is quite possible Evernote is working on a native iPhone version of Evernote. It might even be announced tomorrow! Dare we hope? This entry was posted in FileMaker Discoveries, FileMaker Resources, FileMaker Tips on June 8, 2008 by janet. I pasted a page from FileMaker 9’s online help into a TextEdit document because I wanted to have it handy for a project I’m working on. I had not tried clicking on the links in TextEdit but was pleasantly surprised today when I did. The link worked. When you click on a link from a TextEdit document that contains an excerpt from FileMaker help in it, it links you to and brings up an html document on your computer in TextEdit for that particular topic you linked to. Very cool. At that point, you seem to be able to cruise around without using the Macintosh Help application. By the way, I then tried copying and pasting some of the help into my FileMaker Notes Evernote notebook (Evernote is now available for Mac as a Beta). Unfortunately, the html links to my local machine were lost in the paste. Hopefully that will be fixed. Because I think Evernote is a cool note-taking tool for FileMaker developers, I’ll mention a few more things. You can see a bunch of instructional videos about Evernote. One reason Evernote is so cool is that you can access your data from any of your machines or from the web or from your iPhone or other mobile phone. The iPhone version of Evernote came out today! One of the things you can do is photograph things like your handwritten notes and diagrams in notebooks or on cocktail napkins. Your iSight camera will work too. Evernote does handwriting recognition on the photos automatically. This entry was posted in FileMaker Discoveries, FileMaker Tips on April 29, 2008 by janet.